Why is it so hard to maintain our normal fitness and nutrition routines when we start traveling? It’s something nearly every traveler struggles with even if you’re just heading out for a week of vacation. There will always be a destination to explore, a new food to try, or maybe just the desire to relax and do nothing. I would argue the number one problem when we travel is dehydration. Most of us don’t drink enough water on a normal basis, so throw in travel days, questionably potable water, and lack of accessible bathrooms leads us to drink even less water. Carry around a water bottle EVERYWHERE! Get into the habit of constantly drinking and refilling and drinking more. Your energy level will continue to improve and your body will start to crave it. It’s collapsible, so when you’re finished drinking you can just roll it up and put it in your bag. It weighs nothing and is reusable so you aren’t adding to the plastic waste in each country (if you have access to safe drinking water to refill). Josh thought this was an unnecessary purchase but after a few months of travel, he wished he had one of his own! I never leave home without fruit. It’s the perfect snack and an essential to have around for emergencies. Apples and bananas are two examples of easy ways to keep a nutritious snack in your bag when hunger hits. You can pick up fruit at any market around the world at a relatively cheap price. If you plan ahead, there is no excuse for eating crap food because you are “starving”. If your experience with fruit doesn’t go beyond “whatever is on sale at the grocery store” or a processed fruit cup, you’re in for a treat in Southeast Asia or South America. Do not miss the abundance of fruit available at the markets! If you don’t have them with you, you won’t work out. 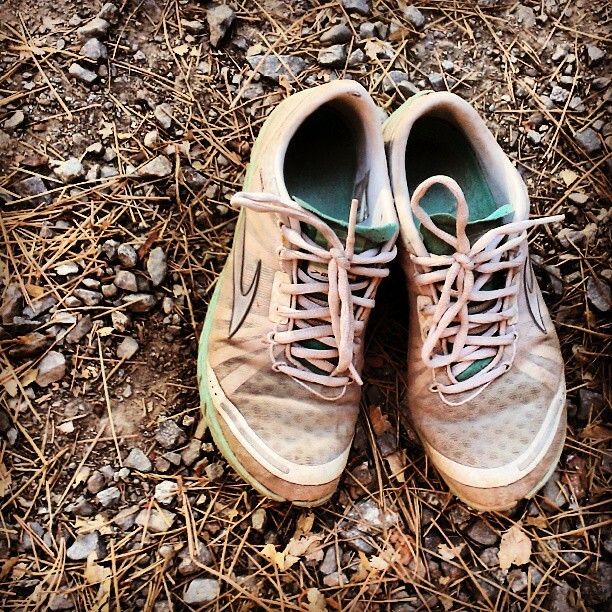 Always travel with your tennis shoes and don’t let them gather dust in your backpack. The easiest and cheapest form of exercise is tying up your tennis shoes and exploring the great outdoors. The best way to see a city is always on foot! If you aren’t already a runner, start slow and go for long walks. Slowly start increasing your speed and push yourself to get your heart working harder each time. Even if you’re not going to run, walk everywhere. We usually made it our personal challenge to avoid taking transportation at all cost. Sometimes you can’t avoid taking a train or bus, but I can count on two hands the number of times we had to take a taxi on our trip, walking gets you exercise, exploration and fun! 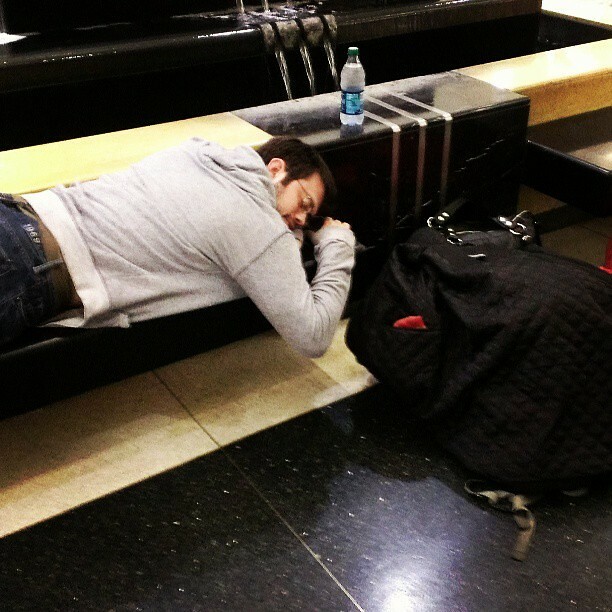 Changing time zones, red-eye flights and noisy hotels will leave you drained and exhausted without sleep. If you don’t shut down and get some beauty sleep you will be cranky and irritated. Coffee is not the solution and Red Bull will just make it worse. Sleep is essential for all travelers to have the energy to explore, patience to engage the culture and keep your body functioning at its best. If you aren’t determined, temptation will win every time. You can read “healthy travel tips” and gather up the best gear and food suggestions in your backpack, but at the end of the day if you aren’t determined to live healthy, none of it matters. A healthy routine is defined by you. I could guess that you already know the right foods to avoid and how to portion your meals out, you simply aren’t doing it. When you travel you have to be more determined than ever to succeed. Our Camelbak has been invaluable! We also sleep in unless there’s something specific we need to rise early for. Heh. Simple, but a very good reminder for travelers. I never drink enough water at all times in life and I think that’s a big reason why I get sick when traveling to hot climates and have longer jet lag than others. Need to work on it. I feel like the simple things we so easily forget! I make myself always carry a water bottle, without it I could go all day without drinking anything! I’m the same way with jet lag, getting enough water helps me recover so much quicker! I absolutely agree with the water and fruit! Maria and I just upgraded our 15oz platypus bottles to 1L bottles after our test drive in Mexico. And the fruit in South America… I still crave Lulu and Mora juice on a daily basis, lol. The 1 L water bottles can get heavy – but it’s worth it when you get thirsty! We lug them everywhere with us! And yes, South America has some incredible fruit that we still crave! Agreed on all of these. I carry a water bottle with me every single day and never leave home without one. Whenever I’m feeling tired and cranky, it’s usually because I’m thirsty or hungry. How about adding nuts and seeds to your fruit? They are both great sources of protein and fat, so they will help you stay satiated for longer. They are also pretty safe to eat no matter where you are. For the past 14 months I’ve been severely restricted in the kinds of fruit and nuts/seeds I can eat because I have braces on my teeth. I’m really looking forward to the day (soon!) when I can munch on a whole apple and enjoy some crunchy nuts! Water and sleep is definitely really important. When I am in hot countries I find it really difficult to exercise though. So what I tend to do is to go swimming or use the air conditioned hotel gym. We struggled with exercising in the heat. If we didn’t get up before the sun came up I think it was almost too dangerous to run. We did a lot of indoor body weight workouts to get the heart pumping on the road! So true and as you state these all are essential. We need each of these everyday. Some people may not think so about the fruit, however I believe you should have at least one piece per day for sure. I love the platypus bottle, I will be sure to get myself one of these, cheers. I eat way too much fruit – but yes at least one a day is such a good routine to get into!